The city of Venice has been very far from conventional in every possible way. They have taken fashion and given it an unfazed spin to it. They have built an entire city on a lagoon. Art and culture aren’t just a part of their lives, they are stilts on which their existence stands. Venetians do not abide by the culinary guidelines, they create their own rulebook using their unique aquaculture. And with all of this, they forge an idiosyncratic grandeur that is inimitable, to say the least. Do not worry if you are visiting Venice in January, the Floating City won’t disappoint. What makes Venice in January Special? The weather in January is not favorable for most tourists. Consequently, you find Venice in a pristine condition in January. The otherwise bustling canals are considerably empty and are at your disposal. If you plan well, Venice in January is the best thing that will happen to you. Generally, foggy conditions are not ideal for tourism. However, the Venetian fog makes the city quite enigmatic. For people who enjoy the gift of solitude, this fog is highly recommended. Venice is a popular tourist spot. There are plenty of options in the city when it comes to choosing accommodation. January falls in the middle of the low season in Venice. This is why you can find great deals on even the plushest of hotels in the city. January is time to take a taste of local life in Venice. Opt to stay near a residential locality and you shall experience the laid back manner of the City of Canals. It may sound as if the city is sleeping in January, but the vigor and the festive spirit of Venice is also on display on certain occasions. The Epiphany and the Befana feast are a spectacle. January sees peak winter in Venice. 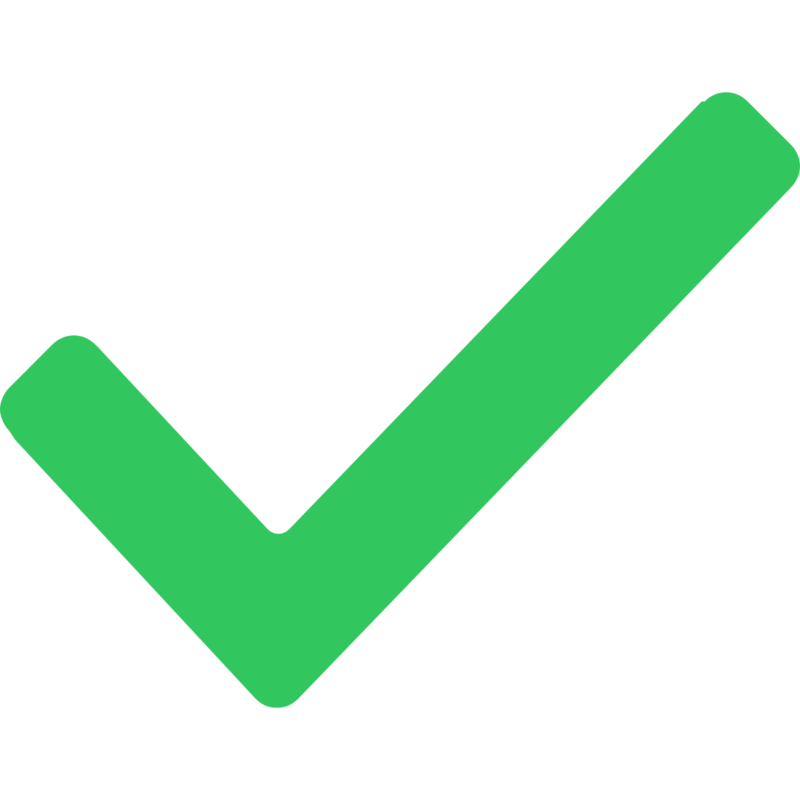 Average high circles around 6°C (43°F) and the average lows go down to 0°C (32°F). But, rarely does the temperature drop in the negatives. The sky is partly cloudy during January with rain expected on less than 7 days during the entire month. There is a light breeze and the daylight hours go up by about an hour during the month. The very existence of the city of Venice is a marvel. That makes every building in the city a miracle. And once you see Doge’s Palace, you will not want to take your eyes off it. The residence of the Doge of Venice, this palace is a supreme example of Venetian Gothic architecture. It will take you a good part of a day to explore the entire museum, so the January lull might be ideal for this visit. Also known as The Patriarchal Cathedral Basilica of Saint Mark, the stunning original structure was constructed in the 9th Century. After its destruction, the magnificent replica we see today was built. Made from middle-eastern marble, the Byzantine architectural showpiece is best enjoyed when you can analyze each part of it separately. 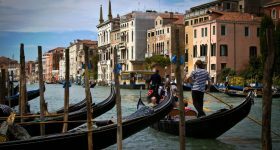 The City of Canals makes sure that you can enjoy the most unique aspect of the city in the best way possible with a gondola tour. You can observe the inner workings of the city while a gondolier in a striped tee shirt takes you through one of the back canals. Take the serenade tour to experience some local music while you take the romantic ride. Do remember to wear warm clothing in January as gondolas don't come with any sheltering. Venice puts art and culture at the forefront. As such, most of the famous landmarks in the city come with a rich historical background. Teatro La Fenice is no different. This opera house reserves a special place in the tradition of Italian Theatre. Many of the major compositions of Rossini, Bellini, Donizetti, and Verdi were performed at Teatro La Fenice. You would definitely want to witness this place in January to avoid the rush. 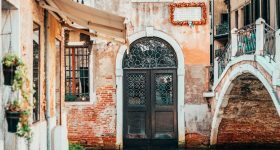 The Jewish community of Venice founded this small museum in 1935 in the Jewish Ghetto of the city. The museum holds evidence of the city’s and Jewish community’s vivid background in gold articles and textile manufacture. Furthermore, you can find ancient scriptures in the museum as well. In January, the museum is emptier than usual and enables you to examine each item much more carefully. Venice is so much more than what meets the eye. 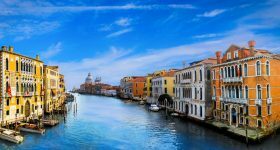 Just a boat ride from the main city is the islands of Murano, Burano, and Torcello. Each island has its own attractions. Murano is known for its Glass Museum, Church of San Donato, and numerous furnaces where you can see the manufacturing of blown glass. 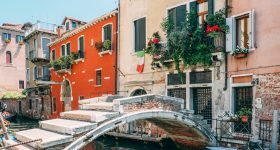 Burano is known for its lace making, and Torcello has a great archeological significance.Read all about taking a trip to the Islands of Murano, Burano and Torcello and plan your day trip efficiently. Leonardo da Vinci wasn’t just another artist. We cannot totally appreciate the genius of him just by looking at his creations. The Leonardo da Vinci Museum in Venice has acknowledged that and has come up with interactive machines, multimedia videos, educational laboratories, infographics, and anatomical studies to grasp his works. Visit the museum in January to fully enjoy its offerings. The Natural History Museum in Venice is located in the Fontego dei Turchi Palace at the Grand Canal. The museum is a prominent scientific institution in the area that tirelessly works towards expanding the collection of the museum. The scientific exhibitions in the museums are not one to be missed. There are numerous attractions within the museum that can be covered in one go if you come on a sleepy January day. Despite what you may hear, gondolas aren’t the only way of getting around Venice. Opt for a relaxed walking tour of this beautiful city and witness some of the lesser-known spots like Campo Santa Maria Formosa, Campo SS. Giovanni e Paolo, the Great school of Charity, Marco Polo’s House, and the Malibran Theatre. The walking tour can be especially blissful on a January noon. Placed within the complex of St. Mark’s Basilica, the Marciano Museum is known for the replica of the bronze horses that were once displayed outdoors. The gallery offering a stunning view of the basilica and a balcony overlooking the San Marco Square makes the museum a must visit during the sleepy month of January. On the 12th day of Christmas, Italians celebrate the arrival of La Befana, the witch. La Befana is supposed to bring a stocking full of candy and gifts. The festivities also include a boat race, known as La Regata delle Befane, down the Grand Canal. The Venice Carnevale begins two weeks before the actual date. The local residents get into costumes and engage in various activities. Masked balls are held in various locations. Most of the events during the carnival are held around Piazza San Marco. St. Anthony’s Day celebrates the patron saint of the butchers, domestic animals, basketmakers, and gravediggers. It is a feast day across the city and marks the beginning of the Carnevale. Religious celebrations are held in various quarters of Venice in the day. Date: Right from the middle of December and throughout the Carnevale, Campo San Polo is the site of a huge Ice Skating Rink that is open for visitors. A market is set up around the general area of the rink with music performers and artists performing as well. By its own standard, Venice is very cold in January. The sun shines at times but on most days, the fog is too thick to cut through. Expect temperatures around the freezing point and pack accordingly. The air is already damp, and in January, it has a cold edge to it. You may want to plan your itinerary indoors. Be prepared for a harsh weather. You must pack enough warm clothes for the entire trip. Be mindful of the humidity in Venice before choosing your clothes. Rain is rare in Venice in January, but it doesn't hurt to be prepared. It is widely known that getting around is Venice is largely through watercrafts. There are around 150 types of water based vehicles to navigate the city. Vaporettos, motorboats, battelli foranei are some of the most commonly used means of transport in Venice. The ACTV fleet has been in operation for over a century in Venice and now has around 120 jetties. Alilaguna is another major transport service that operates on five important routes. Seasonal transport lines are activated during the rush period as well. ACTV and ATVO operate a bus service in the city that connects Venice to the mainland and major airports. Despite having narrow streets, a large section of Venetians use them for navigating through the city. There is no reason you cannot too. 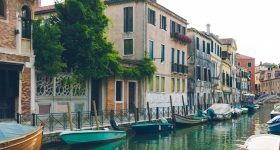 To know all about getting around Venice and the buy cheap passes to all modes of transport in the city, here's a detailed guide on Public Transportation in Venice. It could come handy! This sweet and sour dish first can to the fore in the middle ages as a way of preserving food. It consists of sardine fillets cooked in vinegar, onions, raisins, and pine nuts. The method of preservation is now obsolete but the characteristic taste that was lent by this method lives on. Try Sarde in Saor from Trattoria da Gigio. Rice is a staple in Venice and this risotto is one that you should not miss when you are in Venice. The dish comes in a jet black color due to the squid ink braise. The briny taste is what sets the dish apart. You will also find generous use of wine, onion, and tomato in the dish. Osteria ai Carmini serves one of the best Risotto al Nero di Seppia in the city. This Venetian dish is made of spaghetti-like long, thick, whole wheat pasta called Bigoli. It is served with specially made salsa consisting of onions and salt-cured fish. Bigoli in Salsa was initially served on lean days like Friday or the Christmas Eve but is now a year-round delicacy. Try this dish at Cantina do Spade. A must for offa enthusiasts, this dish is wonderfully balanced due to the ingredients utilized in it. The main ingredient is calf liver, which is well complemented by the sweetness of caramelized onions. The dish is known to turn many people into offal lovers. The best Fegato Alla Veneziana can be had at Antico Calice. A special type of Venetian biscuit, Buranelli is said to have originated in the island of Burano. It is a sweet treat that was packed by sailors as they left on long voyages. Like most biscuits, it is made in the round shape, but an ‘S’ shaped biscuit is now made to facilitate dunking. Get the best Buranelli at Tonolo. Experience the uniqueness of the Venetian fog. Taking a gondola ride early in the morning can create a wonderful feeling of solitude because of the fog settling on the narrow canals of the city. Walk around the city and discover the historical and architectural gems that are hidden in every corner of Venice. In January, the lack of tourists can give this adventure a more realistic feel. Sip on the Venetian rendition of hot chocolate in the Winter. Their version of this popular beverage is said to be almost as thick as a pudding. Visit Libreria Acqua Alta to spend your time discovering new and old books. The owner of this little store will not mind entertaining you with his experiences. 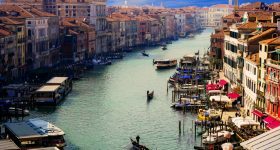 Buy the Marco Polo transfer ticket once you reach Venice. This ticket allows you open access to all transport ways in the city. Remember to respect the residents of the city. Unlike other tourist destinations, Venice is not blessed with wide lanes and roads everywhere. 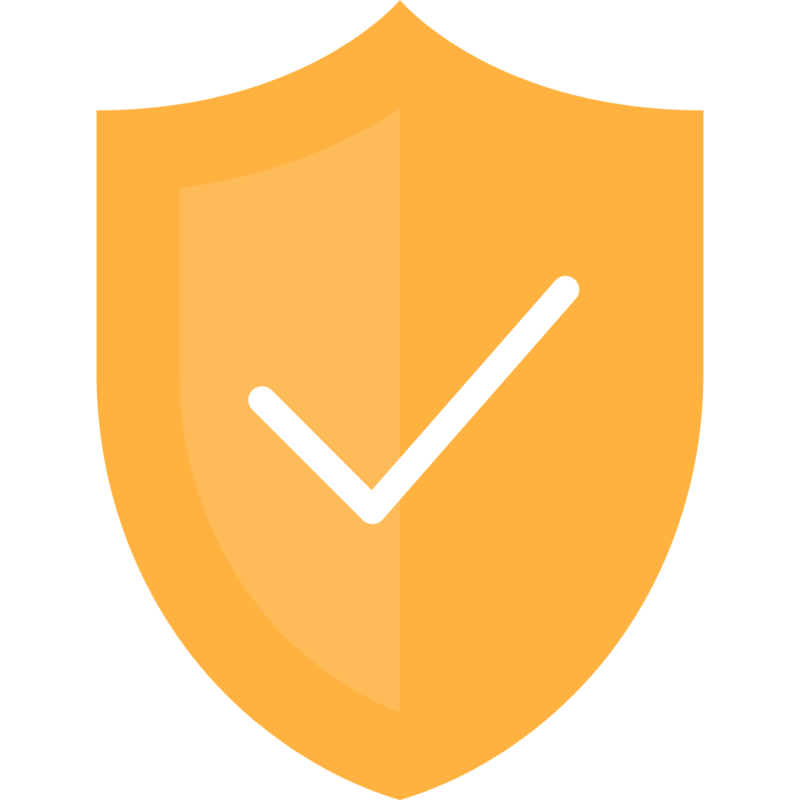 Avoid lingering on the streets and make way for people to pass/walk by. Planning to Visit Venice in January?